Love Jamie and Claire, Tatiana and Alexander, Nathaniel and Elizabeth? Brought together by an iceberg. Torn apart by war. Can their love survive? Limited numbers of autographed copies also available! 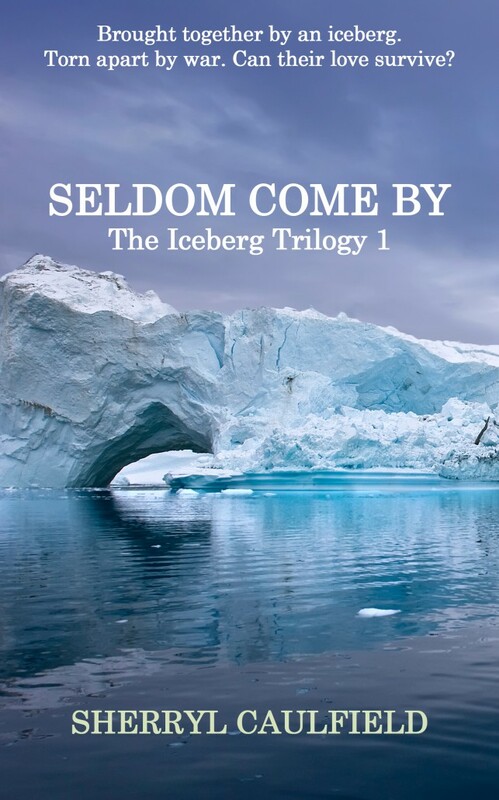 If you crave epic, adventurous love stories, if Jamie and Claire, Alexander and Tatiana or Nathaniel and Elizabeth mean something to you, then meet Samuel and Rebecca and the iceberg that started it all. Two years after the sinking of the Titanic, fifteen year-old Rebecca Crowe’s fascination with icebergs leads her to save a shipwrecked survivor, Samuel Dalton, the nineteen-year old son of a Toronto medical family. In a summer like no other, Rebecca and her older sister, Rachel, are reborne in the presence of the spirited young man that is Samuel. Love sparks in the crystal cave of an iceberg but is thwarted by an unreasonable father and the Great War that drags Samuel and his brother, Matthew, to the Western Front as medical officers. Knowing Rebecca is home and safe in Newfoundland brings Samuel great comfort. But as the war moves towards its final harrowing days, they both discover that tragedy and terror can strike anywhere, setting their love on an unforeseen path. Only when Samuel and Rebecca can fully come to terms with such devastating loss and their impossible choices can their love soar. With an emotional intensity reminiscent of The Bronze Horseman, Seldom Come By, named after an actual place in Newfoundland, is an unforgettable journey across waves and time and the full spectrum of human emotions.